Chances are your office pales in comparison to Petersen's Hunting editor-in-chief Mike Schoby's. An accomplished globetrotter, Schoby's office is covered with trophies from his hunts around the globe. A couple whitetails (normal enough) plus a red stag (getting better), a caribou (now we're talking), various species of antelope, a javelina caught mid-stride, and to top it all off, a baboon holding a stack of business cards. He's also a master angler; a mounted goliath tigerfish -- the holy grail of freshwater fishers -- is mounted above his doorway. It is without a doubt the coolest office in our building, one that would surely make some animal rights activist's head spin before keeling over. 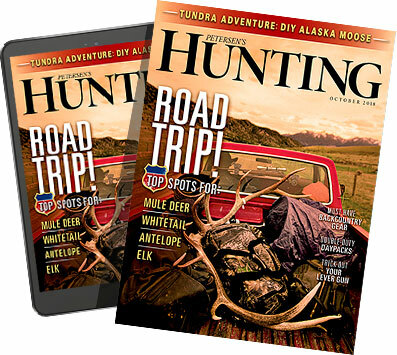 Of course, this is a hunting magazine; that sort of thing is pretty much expected, if not required. The point is, hunters, no matter where they work, love to show off the trophies of their kills, whether it's at home or at their place of work. But does that include teachers, principals and other school officials? Take South Carolina principal Buddy Chapel, who before this past weekend, had an office that would rival Schoby's in terms of the sheer volume of his trophies. From antelopes to hogs, and even a stuffed lioness, Chapel, a former Marine Corps drill sergeant, adorned his high school office with the variety of mounts. But, early last month, the collection became a public matter after the photo above appeared in a local newspaper. Two bothered individuals wrote letters to the editor and generated enough controversy to force Chapel to remove the display from his office. Apparently, these folks felt hunting had no place in a public school. Chapel told local reporters previously that he offered to meet elsewhere if students were uncomfortable in his office but most students seemed to like the collection. We understand not everyone is as into hunting as we are, and being that this is America, they're free and welcome to make that choice, but that doesn't mean just because an overly sensitive non-hunter is offended, hunters should have to disguise their hobby -- or hide it completely. Be that as it may, principals are in fact public officials whose freedom of expression is limited; you could make both arguments for and against Chapel's trophies. What's truly remarkable is the offense taken to a legal activity. Hunting is a licensed, heavily promoted activity in Africa, and a huge part of African economies that may otherwise struggle. The money generated from African safaris not only stimulates countries financially, but it also goes back into wildlife conservation. Rather than analyze the facts of the situation, however, the offended parties seemed to have simply seen heads hanging on a wall and assumed something evil had happened. One of the letter writers, a South Carolina teacher named Marian Martin, posed the question, "What message is he sending those kids?" Well that's a good question, and one that never had a resolution. The message is, Chapel enjoys hunting. That's it. What's more reprehensible to us is the fact that these people took it upon themselves to speak for students who Chapel said had never gotten the willies from the display. To that, we pose the same question: What message is that sending the kids, letting someone else speak on your behalf? Even if the students did have a problem with it, shouldn't they be allowed to address it themselves? This is a high school after all. The offense taken to a legal activity without full understanding of the situation, along with the audacity to speak for an entire student body, is much more harmful than being stared down by a mounted gemsbok. What do you think? Let's hear it in the comments section.